Enjoy the fun and fabulous experience All Star Cheer without the time or financial commitment! 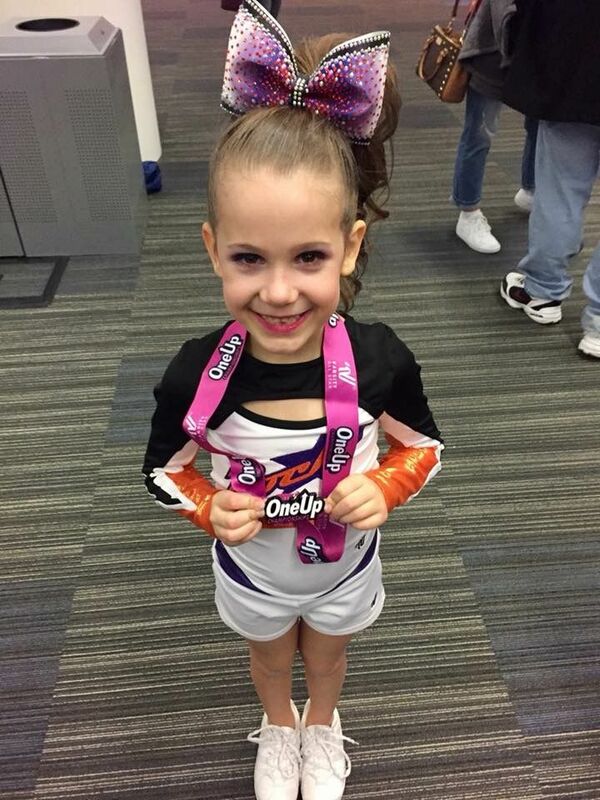 Our youngest cheerleaders can have a blast participating on one of our 1/2 season cheerleading squads, showcasing their smiles during an age appropriate and fun routine. It is an outstanding opportunity for little athletes to become involved in the sport. Costs are low, practices are once a week, and all competitions and performances are within driving distance. We will begin practice in October, complete choreography during November and December, and plan to attend four performances January through April. Please click the link below for our info packet.